A recent news report from Vietnam features an exquisite and very ancient sculpture of Lord Vishnu. 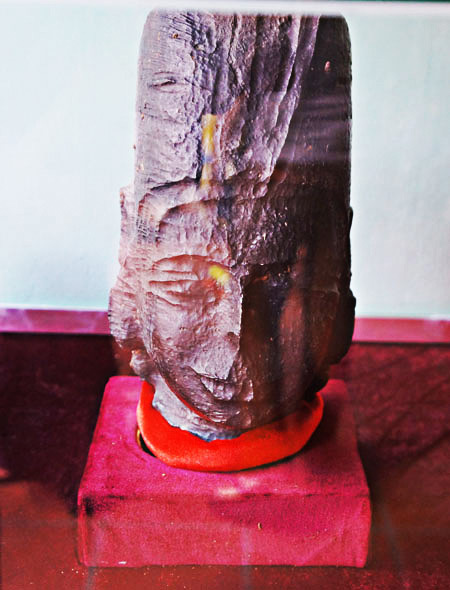 According to a press release from the Communist Party of Vietnam’s Central Committee (CPVCC) the Vishnu sculpture is described as “Vishnu stone head from Oc Eo culture, dated back 4,000-3,500 years.” Recently the Government of Vietnam, despite its official Communist doctrine, has developed many programs and projects highlighting Vietnam’s ancient religious heritage. Its scholarly and archeological research and investigations are legitimate and its conclusions are authoritative. This discovery of a 4,000 to 3,500 year old Vishnu sculpture is truly historic and it sheds new light upon our understanding of the history of not only Hinduism but of the entire world. 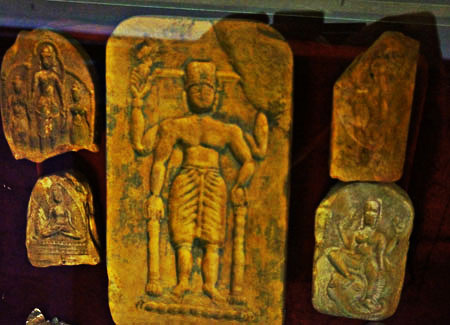 The fact is there are no other ‘officially’ recognized Vedic artifacts that have been dated back to such an early date. 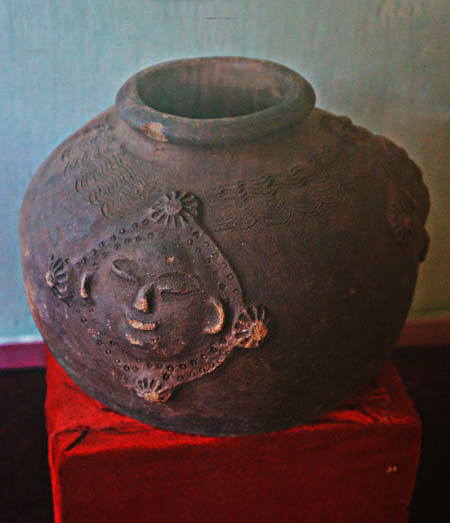 This would make Vietnam home to the world’s most ancient Vedic artifact. 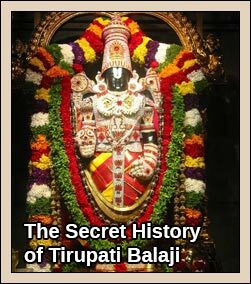 While there are indeed many other ancient artifacts that represent the same Deity, they are not presented in the ‘Indic’ tradition and cannot be directly recognized as the Vishnu of the Indic Vaishnava tradition. 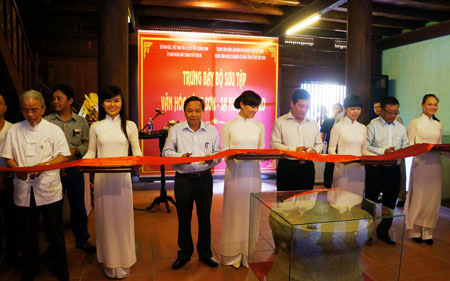 The 4000-3500 year old Vietnamese Vishnu sculpture is part of an exhibit featuring some of Vietnam’s most ancient artifacts. It was discovered in the region of Southern Vietnam’s Mekong Delta. The Mekong (Ma Ganga) River is named after the Ganges River of India. 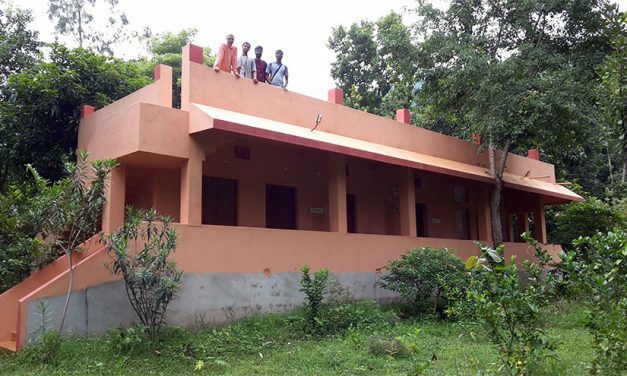 The entire region was once the home to several ancient and prosperous Vedic Kingdoms and many intriguing and unique Vedic artifacts have been discovered. Vishnu stone head from Oc Eo culture, dated back 4,000-3,500 years. Dong Son copper drum, dated back some 2,000 years. Copper utensils from Dong Son culture, dated back some 2,500-2,000 years. 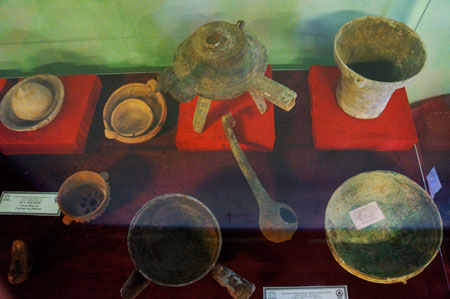 Copper and iron ploughshare from Dong Son culture, dated back some 2,000 years. 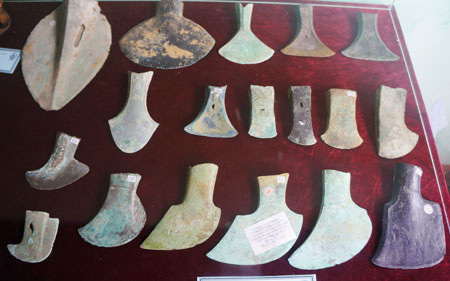 Copper axes from Dong Son culture, dated back some 2,700-2,500 years. Pottery from Sa Huynh pottery, dated back some 2,300 years. 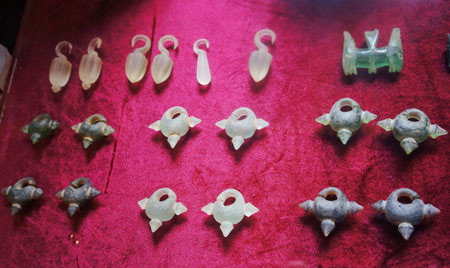 A collection of jewelry from Sa Huynh culture, dated back some 2,300 years. This is real history of india.hindu is the oldest citzeion in the world. 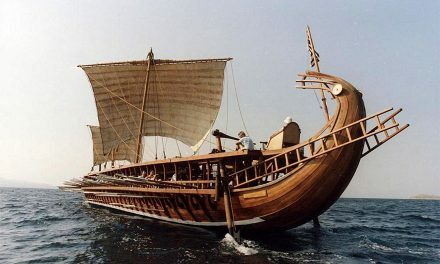 I do not believe that is the case: the ancient “Ionian Greeks” (Yona/Yoni) of the 1600BC era used to sail up this river. They bartered for this region’s main crop. They called it “Mekon.” We call it opium today. I find Hinduism to be a quite intriguing faith. Not “appealing,” as I am not a man of faith. 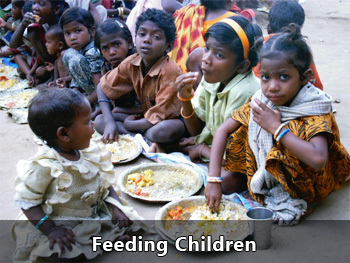 However, Hinduism has a “humanity” to it I find lacking in all other faiths that I am aware of. More, they desire confirmation of their faith. Truth can not guarantee that requirement is always met. I know who that face is on this statue. I have seen it on other statues of that era. With a name attached. Sorry, one more comment: The article alleges “mainstream academia” claims Vedic religion did not exist until Aryans invaded @ 1500 BC. I have never once seen that claim in any “mainstream academia” source material. At least not in any modern “western academic” source. What “mainstream academia” is claiming (using DNA analysis) is that 130,000-70,000 years ago, “modern humans” migrated out of southern Africa, along the east coast of Africa, into the Arabian peninsula and southern India. Doesn’t Vedic/Hindu tradition state Lord Rama founded Dwarka 70,000 years ago? I am finding evidence of king Yayati world-wide. I’m not offering it, because no one seems very interested. I have carefully gone through the contents of the article. 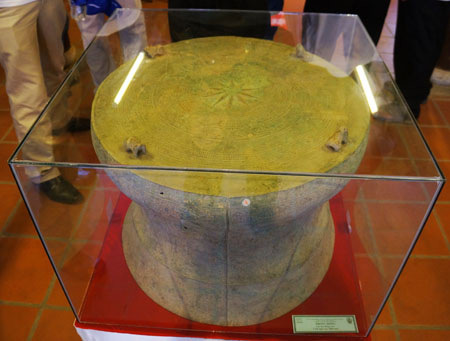 Amazing on the part of the Vietnam people and Government in keeping up the value and importanace of such rare resources and the exhibit throws the light of their efforts in establishing historical sources for the future generation of not only vietnam but for the entire world . great effort. 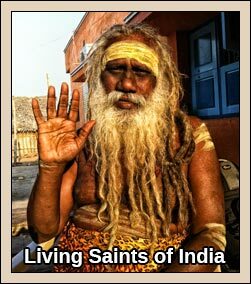 Thank you so much for publishing the great history and spreading the knowledge about Hinduism. Would love to hear more from Farang and anyone who has historic information. I facilitate a course in Vedanta in the USA and find this history fascinating. Thank you for this and past articles on the history of this topic and area of the world. The Head with a crown only does not prove to be that of Lord Vishnu. It seems to have broken, as seen from the picture. 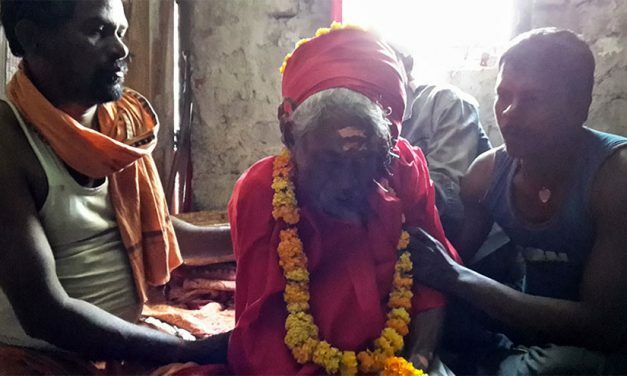 The broken piece of Vishnu’s body may be lying elsewhere, nearby or at a far off place. 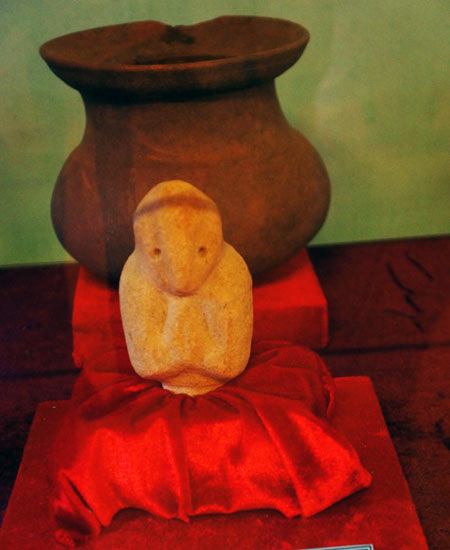 Since nearby Cambodia has many great Vedic relics, this nearby area might be having Vedic influence, which cannot be ruled out, The later Historians have denied Aryan invasion ideology. The other archeological materials found proves its ancient history and culture. However archeological efforts must be appreciated. The entire Vietnam Laos and Cambodia was under the influence of Buddhism. Hence the present Vishnu’s Head, might have been broken during Buddhist period, who were not liking idol worshipping. Author’s efforts must be really appreciated. What farang said is the bitter truth. Every faithful searches for the ancestry but not the truth as it is. I am not against faith in God, I am a faithful person who studies in Rigveda, Athervaveda as well as particles physics with equal interest. One should have objectivity and should first take in the fact and analysis. Whether it proves my preconceived theory or is against, is different. Farang, please tell whose face it is. I share your views about religion but not the knowledge. 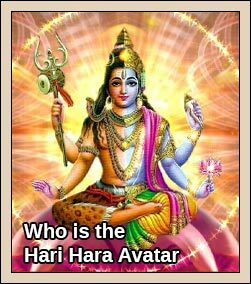 Why don’t you write an article on this site or at least give a link through the comment page here to wherever you publish your articles on Hinduism /Vedic Age? In English the river is called “the Mekong River”, derived from “Mae Nam Khong”, a term of both Thai and Lao origin. In the Lao-Thai toponymy, rivers translates to “mother of water,” signalled by the prefix “mae”, meaning “mother”, and “nam” for water. In the Mekong’s case, Mae Nam Khong means Khong, The Mother of Water. 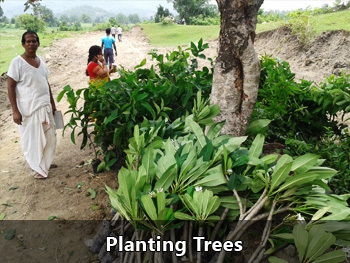 “Khong” is derived from the Sanskrit “ganga”, meaning the Ganges. lord krishna founded dwarika and lord rama was the king of ayodhya ..
Farang, I humbly ask you to first check your facts or buy some original books instead of reading some pirated material and stating that it was Lord Rama who find Dwaraka city. Allow me to correct you(if your ego humbly allows it), Dwaraka city was founded by Lord Krishna. Also my friend if someone tries to make a statement he supports it with evidence. So I am really interested to gain from your collosal knowledge and waiting to hear your thoughts on Hinduism and its deities. P.S. Please at least check Wikipedia first if you are going to talk about something beyond your comprehension and plus its totally free. Farang, you r trying a lot to make people believe tht you know too much. but you are an ignorant fool and you know nothing about Hinduism. there are too many errors in what you wrote one of that being Dwarka. and wikipedia is not the bloody source for vedas. dont try to be oversmart. it is the same vishnu pride. Remember that at that date the gods are differents and have different names. What we know for sure is that before the vedic cult in india (coming from east, europe, turkye, irak, iran through the great plains) there was the great siva civilisation. So I don’t think this head is vishnu but rather shiva with a scratch on the metal. very visible, from the top of the head down to the forehead. Seems very similar than other siva sculpture. But the dates are a bit confusing. When a government like a communiste one id directing works, there is always a political element in the findings. Remember that nations want always to show they have the oldest greatest heritage. remember also something more pragmatic. 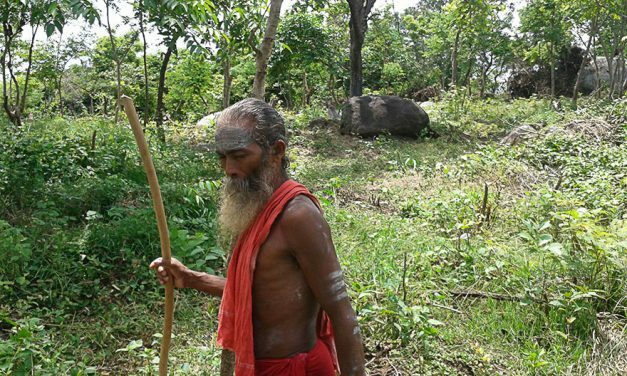 The cults we know today in hinduism have more to do with middle age revival than 4000 years back civilisation. Is it possible that Vishnu came to India from Vietnam and not vice versa? Dear Sir, You can put up your thoughts but you can not claim it that they are only the truth and whatever others believe is no. I highly appreciate that a neutral person has some thing to praise about Hinduism. I believe all other faiths started very recently (approx 2000 yrs or later) and the rules were set up as per the local situation at the place of origine. Hinduism is very deep scientific way of life, though it has got some rust with time and people have misused but for that, all faith have got this evil. 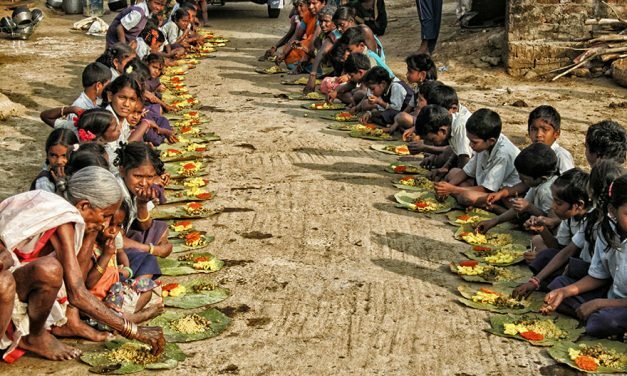 I believe, hindusm is most just faith to all livings on the earth, as it believe Vasudhaiva Kutumbakam (वसुधैव कुटुम्बकम्), means whole earth is a familiy, so whome would you exclude from it? Many of rules were set up to keep the less inteligent people (unlike you and me) binded up together. 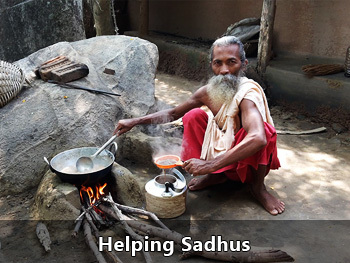 Dear friends this site gives much insight about Hinduism and its ancient history. We have to take the facts and analysis ourselves with the vedic and other evidences we have in hand. Not to dispute the fact given herein. 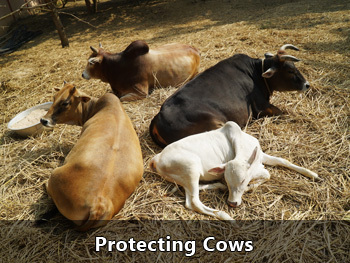 It is the saying that the Hinduism flourished “Kal Thondri Mann Thondra Kalathe” (before the date of rock and sand). So disputing the fact that there are evidences about 4000 or 10000 years old ancient things which reveals Hindu culture is only add authenticity about the sayings. I accept that the vedic literature now available is modified in manyfold to ft the modern society, as every one of us know the language used in vedic scriptures and other modern thinking incorporated therein only suggests the novel idea of modern men. However the truth is that the core of the vedic literature could not be transformed in any manner. So it is our belief and faith alone give way to plunder more and more about our religion and culture. Buddhists are not against Idol worship. beak all statues of our Gods by dashing them on the ground. Buddhist countries have lots of statues of Hindu Gods. seriously and not be dismissed as ignorant. 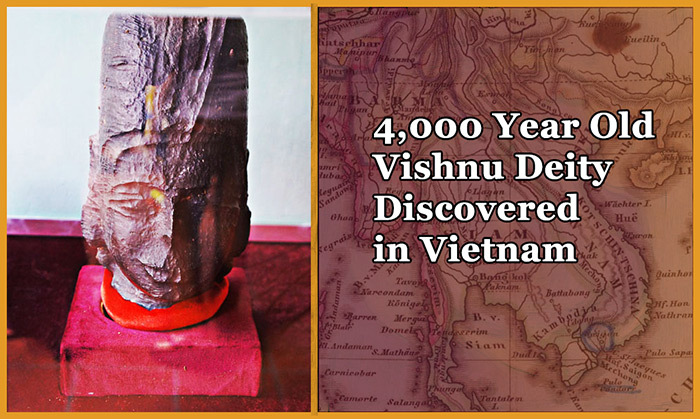 Its amazing discovery on hindunism, thanks to Vietnamese goverment to preserve such an ancient vedic history. But the facts are all wrong! How can the writter knows so much about Hinduism yet knows nothing about religion or history. Why was there no mention of Cambodia or the Khmer people? The hindu statue may have been discovered in Vietnam, but the land itself belongs to the Khmer people. It was the Khmer people and the Khmer culture that worshipped the Hindu gods in ancient time. There was no Vietnam untill recent years. The Vietnamese came from China in the last 200 years. The Khmer people and the Khmer culture worshipped the Hindu Gods, built great Hindu structures and even build one of the greated temple of all time the Angkor Wat, as a dedication to the Hindu Gods. Please rewrite the article if you want to be taken seriously. This article is a joke. There are so much you dont know about the Khmer people. We have been victims to the Vietnamese and the Thai for so long, we deserve some merits. A side note in case you may not know, 50 years ago, Southern Vietnam was called Southern Cambodia. Over 100 Years ago, Ho Chi Minh city was called Prey Nokor City, a City of Khmer Kings and Khmer people. The Vietnamese invaded Cambodia and stole many of the land and artifacts. Today, the Khmer people continues to be killed and oppressed of their religions and their culture. Who ever heard of the Vietnamese once worshipped the Hindu gods? You have to be kidding me! you use the words “we have been victims and we deserve some merits”, by these words i presume that you may be “cambodian”. What is the use of lamenting and self pity. you people have to come back to your mother ,Hinduism, again to reclaim your lost Self respect . Find your ancestry. without a heritage and culture to fall back on, no race can claim self respect. Your culture and heritage and ancestry is basically ‘Sanatana dharma’. You know that .You cannot deny it. I wish, you and other cambodian brothers realize this fact , strive to revive your glorius past. Learn, practice and spread ,”Santana Dharma” or Hinduism as you know it. This is the Only “religion” wihttout any savagery, not dogmatic and is truly inclusive. In fact it is not a religion, its a way of life. 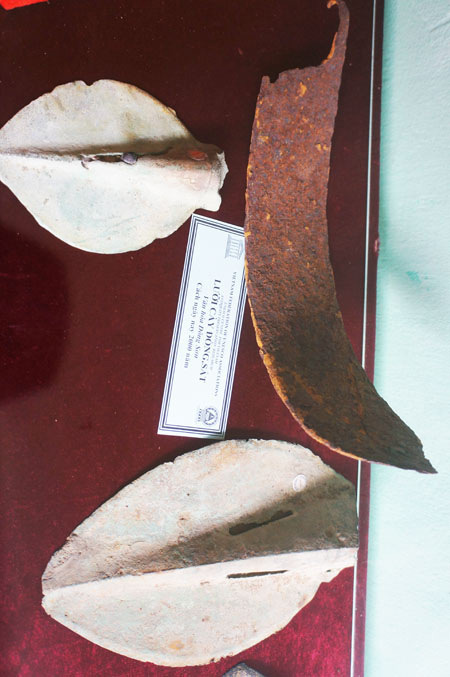 The Vietnamese People Government is silly enough to try to claim this is their artifacts? WE KNOWS VERY WELL THAT, TILL TODAY WHATEVER FINDING OF ANTIQUES AND OTHER HISTORICAL, RELIGIOUS IN ALL THE HINDU RELIGIOUS IS ALWAYS FOUND OLDEST THAN OTHER. SO, WE CAN EASILY SAY THAT HINDU RELIGIOUS IS THE SANATAN DHARM. Where is the original story? Surely there must be some news story or press release from Vietnam about this. I’ve searched and searched But I can’t find it. Maybe the author of this article will know since that’s where they hopefully got this information. 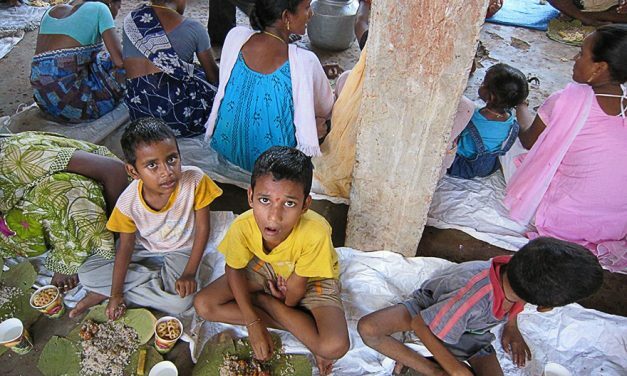 People know very few about the Hinduism. It is not only oldest but it gives way to live life. Live and let the people live. 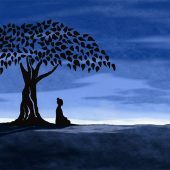 Budha value based upon Hinduism. Thank you for sharing interesting history of our culture. But, before criticising the findings, one should also consider and know who ruled these places in ancient time? 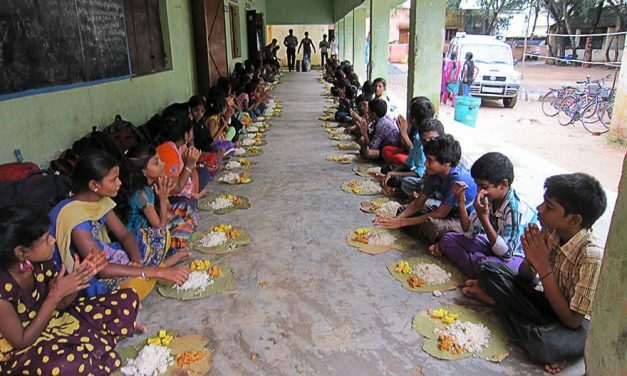 It’s the Great Pallavas and Cholas who spread this great culture / civilised these places. e.g; Ankorvat of Cambodia to Bali etc. It is very interesting to know from the EDITOR and WIKIPEDIA that MEKON is derived from “MAE NAM KHONG” and MAE NAM literally means MOTER of WATER and KHONG is derived from GANGA. However the assertion that GANGA means GANGES of INDIA is partly correct and needs further explanation, enhancement. GANGA is the sacred waters in the HEAVEN and brought by king BHAGIRATHA of IKSHWAKU dynasty to which RAMA belongs. Why he had to bring and how he brought is a different ITIHASA(HISTORY). That is why it is also called ” BHAGIRATHI”. The GANGA travelled from the FEET of LORD VISHNU to SATYALOKA of BRAHMA where the BRAHMA washed lord’s feet with these waters and then GANGA flown to EARTH and then to PATHAL the lower parts of the Universe. As it travelled through HEAVEN,EARTH, and lower to EARTH it was named” TRIPATHA” means appx. THREE ROUTES. On the Earth it is GANGA (GANGES) in INDIA and GANGA (KHONG) in VIETNAM. It implies that GANGA made sacred not only INDIA but VIETNAM also and may be other parts of Earth. But it is to be noted that MAE (MOTHER) is from “MAA” and KHONG is from GANGA which are from SANSKRIT; which is the language of CELESTIAL GODS, and from which all languages of EARTH were born. Thank you so much for publishing the great and past history and spreading the knowledge about Hinduism. Hinduism is just like Limited firm ie, Managing director under him so many responsibility of departments heads to our objectives & goals to be achieved on earliest possible. Either God or Managing Director are same only who has divided so many departments and department heads under him but their signal transmit on one place that is either God or Managing director’s head only depends up on the demands and knowledge of Public’s. Every can not make a Doctor, Engineer, Scientist, Executive Officer, then who will do as on the below categories other works,thereby sin based all the human being will be growth up and down on this Earth. Main I am bringing a point here that Hinduism made Almighty of god or Managing Director is one only not lot of gods.Remove all the bad knowledge.